Sometime ago a dermatologist who works as a psoriasis (a chronic skin disorder) -specialist in a university hospital, complained to me about many patients who do not adhere to the therapy, even though a mutual goal has been set, and a shared decision has been made. Shared decision-making has been defined as “an approach where clinicians and patients share the best available evidence when faced with the task of making decisions,” usually when two or more treatment options are available, or more than one person is involved. Both patients and physicians contribute to the medical decision-making process, and patients are supported to consider options to achieving informed preferences and desired outcomes. Sharing decisions is becoming increasingly prominent in health care policy, with many professional healthcare providers trying their best to act as patient-centered as possible. Especially since this way of communicating with the patient can improve therapy adherence and trust. At its core, shared decision-making is based on mutual understanding and respect. The physician and the patient are equal partners in this process, both contributing to the decision by bringing their own expertise and experiences to the conversation. As such, the care provider contributes through medical knowledge and expertise, and the patient adds knowledge and expertise about his or her personal life. This however, is easier said than done. While many health care professionals claim they are ‘already doing it’, data from patient experience surveys indicate that this is not generally the case. The dermatologist I spoke to made it a habit to not decide on behalf of her patients, but to decide together with her patients about what therapy would suit them best. She therefore did not at all understand why her patients still were not motivated to taking the pills as prescribed, even after having based the therapy on patient’s personal preferences. In describing the way she implemented the shared decision making process into daily clinical practice, she said that as soon as the patient came in, she informed him/ her that during this consultation they together were to decide about the therapy, and thus were going to discuss the various therapeutic options together. Sometimes, patients may need time to study new information and to consider their personal preferences before they commit to new decisions. This is particularly so when the future of their condition is unknown and they may have to think about outcome states that they have never experienced. When offered a role in decision making, some patients may therefore feel surprised or unsettled by the offer of options, and uncertain about what might be best. Informing patients of various treatment options, and that they are expected to participate in shared decision making beforehand might therefore improve the effectiveness of shared decision making. In order to help her patients in deciding about the therapy that would suit their personal preferences best, this dermatologist suggests percentages, e.g., 10%, or 20% improvement, as possible goals. After a patient chooses the percentage that suited them best, the dermatologist explained what therapy and medication would be needed to achieve this goal, thus actively engaging the patient in the decision-making process. Despite all this, her patients still did not adhere to the therapy, even though they themselves chose this option to fit best to their personal situation. I asked her whether she thought her patients understood the meaning of 20%, 30% etc., and whether they would express themselves likewise when pointing out the desired relief of symptoms to others. Part of the difficulty lies in the inherent tendency for (healthcare) professionals to use language that is mainly transparent to fellow professionals. Medical language can be complicated, and evidence indicates that nearly half of patients struggle to understand it. Jargon and abstract terms tend to conjure up a wide range of interpretations that may depart markedly from those the care provider had in mind. Moreover, a large body of evidence demonstrates that assessment items may also be subject to significant misinterpretation, or otherwise fail to measure what was intended. People may indicate on a questionnaire that they are not capable of walking 500 meters, but when followed up in a conversation, they may reveal that they often walk for more than an hour in the shopping mall. I replied to the specialist that if I were the patient, I would want to be able to shake hands as an end goal of the therapy, or to wearing a short-sleeved T-shirt, something like that. She gazed at me and started to laugh saying that was right, but she would never have thought of that herself. Furthermore, she had not realized that informing the patient beforehand about the decision-making process might be more effective. It is therefore vitally important that healthcare professionals are mindful about the patients that they are treating, and the understanding their patients have. This is not limited to those with limited (health) literacy, but all patients would benefit from clear and concise information and cutting out jargon. Moreover, it is of the utmost importance for physicians to communicate in the language patients are accustomed to, expressing themselves in the words patients would use. Increasing patient involvement in decision-making processes can improve adherence to therapeutic regimens and treatment outcomes. 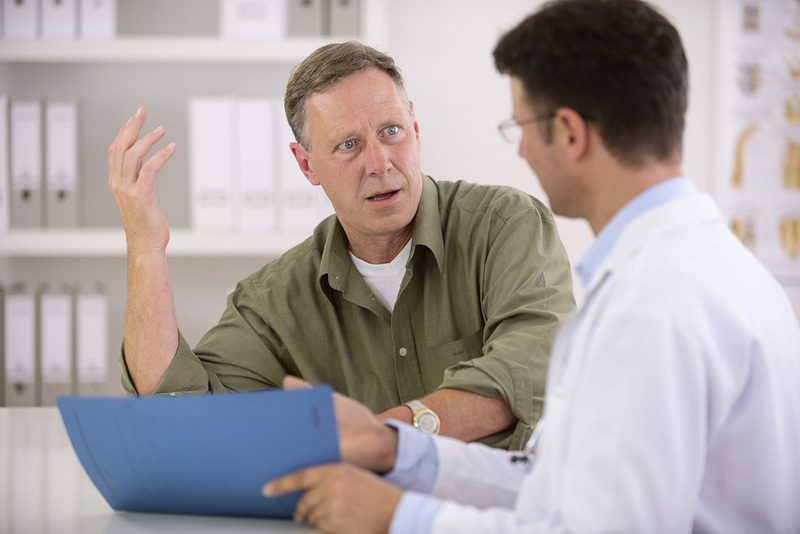 Keep in mind that, although what you are saying may be perfectly clear to you, significant misunderstandings can Therefore, always check for patient understanding. Let patients know in advance what is expected from them when making shared decisions. ⟵What happens with medications when they go home?